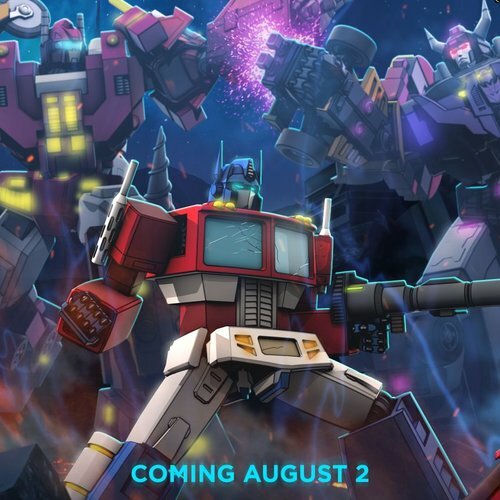 Grand Stag Studios is proud to announce its first major project, “Transformers: Combiner Wars Dubbed”. 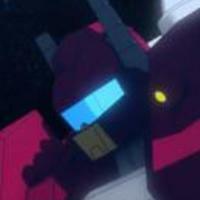 As huge fans of all things Transformers, we here at Grand Stag Studios feel as though Machinima failed to accurately depict the events of the Combiner War series. From a majority of the voice acting being lack luster, pathetic to nonexistent scores, terrible sound effects, and graphics that make Transformers: Energon look like a masterpiece? Sufficient to say something needed to be done. For the most part, the vision for this project is to almost completely strip the original Combiner Wars episodes and replace it with new audio. This includes sound effects, music, voice performances, and potentially the rewriting of some of the lines. Since the animators were not too keen on matching facial expressions and mouth movement to most of the Transformers, we can get away with adding/changing lines. We are currently looking for voice actors and sound designers to help redo this eight episode series. More jobs and voices might be posted as we go. There is also potential for two narrators in the future but we will need to discuss that option further before we post a request for them. Must be able to commit to the full series. Must have decent audio quality. Must be open to any criticisms and requests for redoing lines. Must be able to send all files via MP3 format. Must be open to also potentially revoicing your character’s promotional videos. Voices included: Optimus Prime, Megatron, Windblade, Victorion, and Starscream. 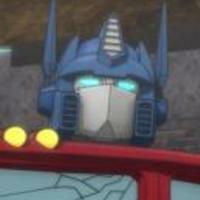 The former leader of the Autobots, Optimus Prime has since gone into exile since the Great War’s conclusion. He was given the chance to end the life of his sworn enemy and once brother, Megatron, at the war’s conclusion but ended up not pulling the trigger. This is a decision that has plagued him for quite some time in exile. 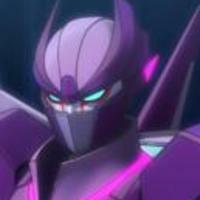 However, he hasn’t completely given up on the cause of justice and keeping the peace as he still watches over Cybertron and the Council very closely. 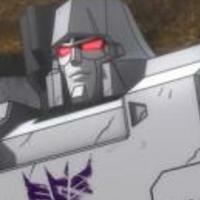 The leader of the Decepticons, Megatron has gone into exile much like Optimus Prime since the end of the Great War. After Optimus didn’t pull the trigger that would have ended his life during the war, Megatron has attempted to seek blissful peace in exile. A few of his Decepticons, primarily the Constructicons have joined him in exile until he is visited by Prime and Windblade for a new mission. Megatron’s voice should resemble Frank Welker’s G1 or Transformer’s Prime version of the voice. However, if you are able to mimic Jason Marnocha’s Megatron from the series that would be preferable as his acting was one of the only excellent voices in the original version of Combiner Wars. https://www.youtube.com/watch?v=A9xQJ46OznU Another inspiration can be from https://www.youtube.com/watch?v=gRI6QTZXYNU&feature=youtu.be. 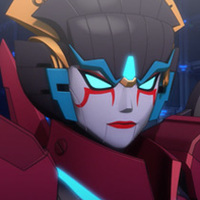 Charged as the City Speaker of Caminus, Windblade has since abandoned her former role as the spokesperson for the Titans and has become the avenging blade of her planet. With the Combiner wreaking havoc on Caminus, she has vowed to destroy all combiners no matter which side they serve. With the discovery of the Enigma of Combination, she is out to destroy the relic of the Primes to prevent any more Combiners from being born. Since the end of the Great War between Autobots and Decepticons, Starscream has since attempted to redeem himself in the eyes of everyone in the galaxy. He has since been appointed to the ruling body of the Council to serve as one of the three who rule over Cybertron and Caminus. He wants more than anything to prove that he is a capable leader and right Megatron’s wrongs. Or is he? Starscream’s voice should sound as if he is peaceful, genuine, and attempting to make amends. I encourage anyone auditioning for this role to listen to https://www.youtube.com/watch?v=OLo8mWubeZA for what Starscream should sound like. Not too G1 but enough. 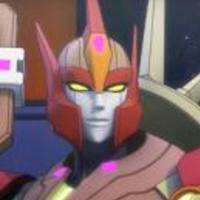 Since the end of the Great War, Rodimus has been given the title of Prime but that is it. 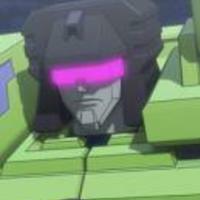 He currently serves on the Council as one of the three who rule over Cybertron and Caminus. 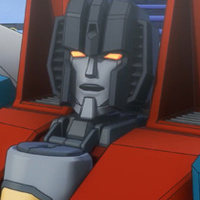 While he is the leader of the Autobots by name, he is one of the very few to fully trust Starscream. 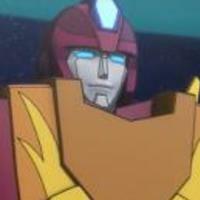 Rodimus Prime’s voice has had very little media reference since the 1980’s so anything sounds good. Just make sure he doesn’t sound gruff. He is a very kind leader, slightly young, yet wise. The Mistress of Flame is the spiritual leader of Caminus and is their technical leader. She believes that the original Thirteen Original Primes were Gods. She also believes that every Caminus Transformers possesses a piece of the spark of Solus Prime. She has since left Caminus to claim a seat on the Council along with Rodimus and Starscream. She has since become Windblade’s greatest enemy and has developed a superiority complex. The Mistress of Flame’s voice has never been heard outside of the Combiner Wars series and her impression in the series was “meh” at best. She should sound “Holier than Thou”. Full of herself and superior, yet wise. (Raise tone but not angry)“Calm?! This is a time for action Starscream!" 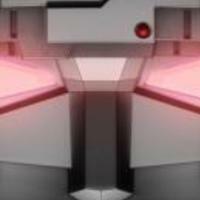 Computron is the combination of five Technobots who managed to remedy the issue of lesser intelligence in combiners by pooling their intellects as one cohesive force. However the process severely lagged Computron's reaction time. Before coming to any decision, Computron must analyze the opinions of every individual Technobot, resulting in his falling behind in battle. In the end, he always makes the correct choice, but more often than not it's too little, too late. Menasor was amongst the first Combiners created during the Great War. The creation of him and his ilk led to Optimus Prime's realization that the Transformers' civil war had become a never-ending arms race, one that could only end in Cybertron's destruction. After the Great War, Menasor had simply becoming a raging and destructive monster. 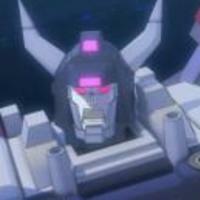 The Council deployed Computron to do battle with him thinking logic would be able to defeat the insanity of Menasor. Menasor is a mindless brute. He is an amalgamation of five personalities who are all bent on destruction. Please do not try to mimic the Menasor heard in the Combiner Wars series as it was dreadful. (Angry) “Math?! I hate math!! Hold still so I can tear your spark out already!" 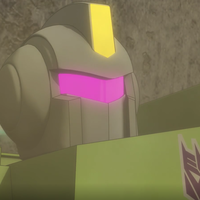 Comprised of the Constructicons, Devastator is one of the few bots who followed Megatron into exile. However, with the Enigma of Combination uncovered, the menacing Combiner has turned against his leader in order to claim if for himself to rule and create more Combiners. 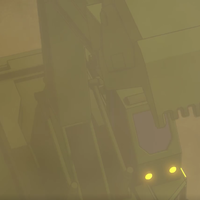 Victorion was created after a team of explorers who seeked out ancient Cybertronian artifacts were accidentally exposed to the energies of the Enigma of Combination. As all six of her components are devout followers of the Mistress of Flame, they will defend her at all costs. In addition, the strong discipline and sense of unity among the Torchbearers, combined with their natural deference to Pyra Magna, means Victorion is one of the most mentally stable combiners. By far the largest Autobot Titan in existence in the series, Metroplex is a city sized transformer who has been dormant for years. As such, he requires transformers like Windbreaker to be his voice, a.k.a. a City Speaker. He has very few lines in the series but his power and presence can be felt throughout the series in every seen he is in. 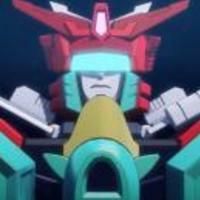 Maxima has very few lines but from what the show portrays of her, Maxima is Windblade’s closest friend. She has been joining Windblade on her vendetta with the Combiner for quite sometime and eventually dies at the hands of Menasor. Maxima hasn’t previously been voiced in any type of media aside from the Combiner Wars series so anything would work. Scrapper is the engineer of the Constructicons. While the other Constructicons put their masterpieces together, Scrapper is the one who designs everything for them. Though his designs are among the best in Transformer history, Scrapper is a modest Decepticon who quickly shrugs off the praise he receives. He does not have a voice in the series as the Combiner Wars creators decided to have the Combaticons voiced by beeps and boops. As such, anything would do as long as you keep his personality description in mind. “Surprise attac- (goes flying, lands hard, speaks in a dizzy tone) ughhhhhhh." The problem, as Long Haul sees it, is that he gets all the work and very little of the excitement and the glory that goes with being a Decepticon. He knows his job is important; he'd just much rather be on the front lines fighting shoulder to shoulder with fellow warriors than moving supplies and building installations to make sure those warriors continue fighting. Long Haul keeps these secret desires to himself though, as he's smart enough to know Megatron is not likely to be sympathetic and has no patience for grunts who question their orders. He also serves as Devastator’s crotch. Tough break. You can't help but feel sorry for Scavenger. He wants so badly to be liked and needed, to feel like a useful and valuable member of his team. His self-esteem is so low he'd do just about anything to get the approval of the others, but his simpering, doting eagerness to please just reinforces the other Decepticons' opinion of him as a worthless loser. He's constantly excavating everywhere he goes in the attempt to find something of worth to please everyone and prove his value, but it's invariably just some piece of garbage or scrap he excitedly finds, and that just reinforces their opinion of his worthlessness once again. 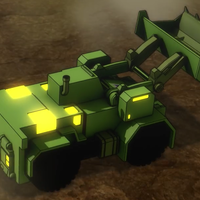 If it wasn't for his shovel's unique ability to detect needed materials, Megatron and the others would likely have dumped the poor scrub long ago. “Have at thee! Ha! Hoo! Gotcha! Gah! (goes flying) Oh scraaaaaaaap!"